I don't have a tripod and I don't know very much about night photography, so I'm please I was able to get anything. These are both right from my camera. The orange moon was just as it was coming up; the dark shot (a bit easier to see when enlarged) was taken about 45 minutes later. You got good captures Beth. Be proud! So gorgeous! We could barely see it through our trees. oh yes, this was a beauty, and how great that you captured it. love the color on that first one! I was going to photograph the moon but I could not find the little do-hicky to attach my tripod. Gorgeous! We were totally overcast and couldn't see the moon. Gorgeous! I took a few pictures but they didn't come out nearly as clear as yours! It was too cloudy here to see the supermoon, so I'm glad you captured a few shots for us. Beautiful! And unlike me, you managed to remember your tripod! I wanted to capture the supermoon, but was just standing there slack-jawed over the awesomeness of it. Thanks for sharing YOUR amazing shot! 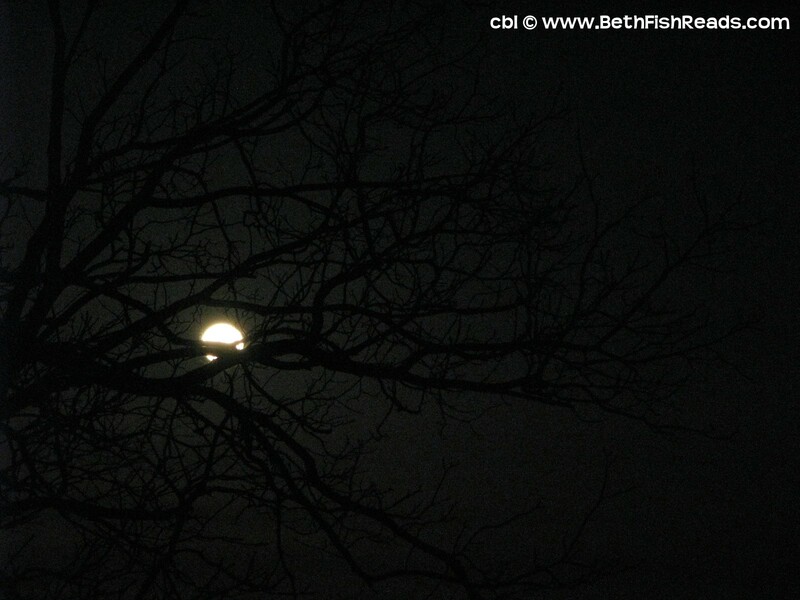 The shot of the moon through the tree branches is one of my all-time favorites! Just gorgeous. Awesome pictures, especially the second one. It was too cloudy to see the moon here, which was disappointing! For not having a tripod, those are great shots! We saw it in the morning just as it was setting; it looked like it was balanced on the top of our mountain. Huge and bright, it was awesome. Great job despite the lack of a tripod. I'm so bummed, I didn't hear about the supermoon until the next morning. I did notice it looked large that night, but didn't think to grab a shot. Wonderful shot. It was so beautiful here. It was just a little hazy here, which gave it a beautiful glow. I should have taken a picture of it! Well done (even without a tripod). Good to finally see it since all we had here was clouds. I knew you'd get some good shots if you had clear skies. Gorgeous, especially the second one. Holy cow, what great shots.This is you not knowing much. I'll take your not knowing any day. 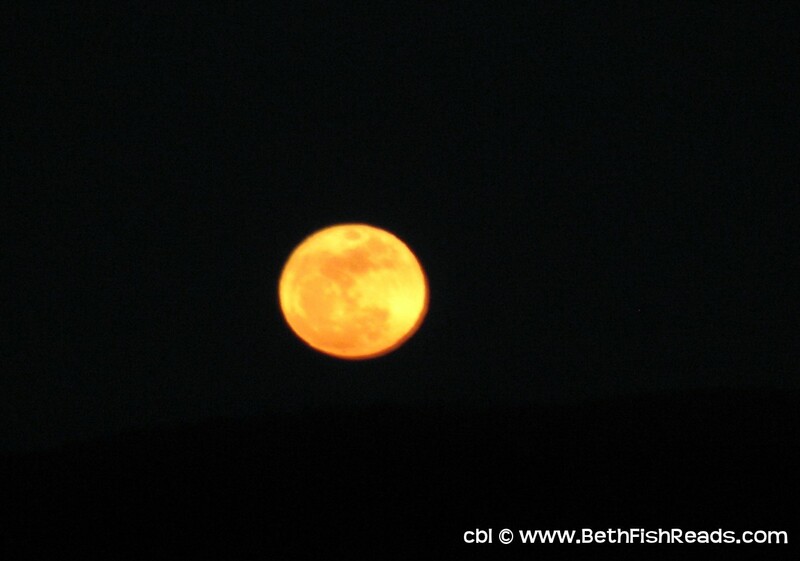 We missed the Super Moon due to cloud cover so thanks for sharing. Nice that you got to see the super moon! It's beautiful. I was all set with the tripod and big lens... and then it rained. :( So, no moon shots for me. Wow stunning photo I didn't realize until the next day about the Super Moon. Love those moon pictures, but the do make me feel cold. That's OK right now since it's still snowing in my neighborhood, with more on the way. Spring is gonna be a tad late. It was raining here and we couldn't see the supermoon. :-( So thanks for sharing! Beautiful!!! I didn't have a tripod either. My camera gets moody when it comes to night pics or when there's too much light but patience enabled me to get more than a few good shots of this incredible moon! But I was so happy to experience it (didn't think we would since we had thick clouds until 2 hours before sunset) so the photo's are a bonus to something I feel blessed to have seen! Some amazing shots, it was just too cloudy in our part of the UK, to get anything as good, although we did get a brief glimpse or two of this fantastic spectacle. Nice shots of the super moon! It's always a challenge to photograph. And thanks for the kind words and support for the show. Lovely! especially the orange moon! I completely missed the Super Moon but when my mother-in-law asked me today if we had seen it, I could honestly say yes (because I saw your pics first thing this morning :) Whew! These look very similar to the ones I got. The one I took the night before came out best. It was less dark and cloudy. I posted another one today, just a blip of orange. Lucky you! It was cloudy here and we saw nothing. Nice job. I think moon shots are hard to get. Love that first one. What a neat color. I'm so glad you were able to capture these shots! Very nice! «Louis» missed the supermoon because it was pouring rain over the San Francisco Bay Area. He thanks you for visiting San Francisco Bay Daily Photo. Those photos are both beautiful! And you took them yourself? They're lovely, esp. number two! Super moon!! Such a beautiful picture. I completely missed this and so happy to catch the moon here!